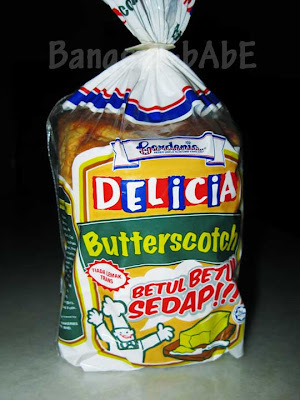 Since I discovered the Gardenia Butterscotch Bread, I can’t get enough of it. Soft, fluffy and caramel-ly, it is “Really, really good!! 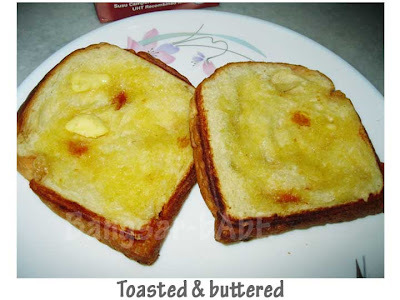 !” I love toasting it and spreading some butter over it (salted would be best!) to intensify the butterscotch taste. If you haven’t tried this, go get some! 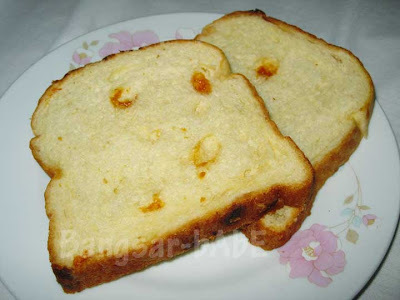 A loaf costs RM4, and there are 12 slices inside. *This is NOT an advertorial. I used to eat bread from gardenia when I lived in Singapore. Oh… how I miss it! Amazing! I’ve never heard of this, but I can see how it would be really addicting, especially when toasted and slathered with butter! aiyah reminded me that i shud hav snapped pictures of the wholemeal bread i ate that day..came from the fellows who prices their loaf in the rm20 range..
joe – A loaf of bread for 20 buckaroos? That's super expensive! Vivien – Yay! High five!! hmmm i hv yet to try this. just finished my gardenia banana and walnut bought in spore hahaha, those were really delish! so good you can even eat it on its own ? IonBuck – Hahaha…work's THAT bad ka? would taste better with a spread of avocado. ahh i like this one too. I tired the chocolate one.. not so nice compared to butterscotch. This is good, but the calories!! ARggghhhhhHHh. Don’t think about it, just eat!! ehh..u quite a bread lover too huh? Yeah…I love bread! Especially the dense ones…yum!! My colleagues all going crazy over this..yet to try though.